Well I have been holding onto this one for a while, a while back I got some books from the library and one of them featured a Fennel Coriander Rub, which while unique I thought sounded incredible to have on a beef roast or better yet a beef brisket. Well I was a little unsure so I went with a chuck roast, instead of a whole brisket. 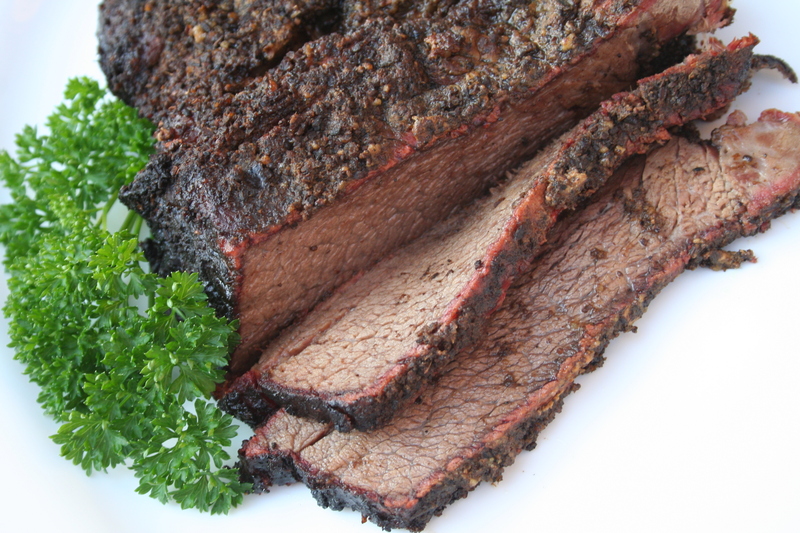 It would be horrible to make a whole brisket that tasted horrible. Yesterday on the way home I picked up my chuck roast, the selection wasn’t very good so I got a smaller one, about 3 pounds. Then it was time for the fennel, I had gotten a bag full of fennel heads from my dad so all the seeds needed to be pulled off the heads, this might be alright a tablespoon or two at a time but for a half cup it was a lot of work. Anyways I rubbed it last night and threw it in the fridge over night and then it was onto the smoker this morning. I smoked it at 225°F for about 5 hours to about 160°F, basting with apple juice and Worcestershire through the cook about every half hour. Then I foiled the meat and stuck it back in the heat until the meat reached 200°F. Then I pulled it and let it rest under a couple of towels for about an hour. Then we sliced it and ate it with some garlic and rosemary mashed red skin potatoes they are quickly becoming a staple. But back to the roast, it was cooked to perfection, it was juicy and tender and it had a great smoke ring. But it wasn’t as good as I had thought it would be. I didn’t think it was bad but the fennel really comes through, which if fine if you really like fennel (licorice). Preheat a heavy skillet over medium heat (cast iron if always good). Once heated add fennel seeds, coriander and peppercorns to the skillet. Keep them moving by swirling them in the pan, they burn quick. Cook the seeds until they turn light brown and become fragrant. Your nose is your guide in this one. Once they are done pull the skillet off the heat add the salt and mix it in well. Once the mixture is completely cooled. Pour mixture and orange peel into a spice (coffee) grinder and grind to a fine powder. Now for the verdict the meat was good and the rub was alright. It was very fennelish, which depending on your perspective could be a bad thing. I really enjoyed it but my wife was not a fan. She said it tasted too much like licorice. So would I make it again, I am not sure I might try it on something else maybe lightly on some pork or lightly on some fish even.